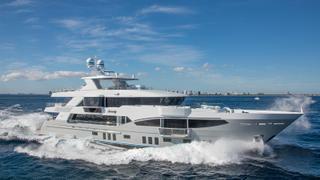 Delivered in 2016, Renaissance was built with charter in mind. A backed-up sewage system on a classic yacht left a rather poor impression on one owner, who had only recently embraced chartering. He had welcomed, with open arms, a country music star and his entourage for a short charter. Disregarding warnings posted in the dayhead, the guests upset the delicate system. The ensuing unpleasantness put the boat out of commission for a few days. The owner learned from this mistake – get security deposits – and he persisted with the charter business, which he has since found rewarding. 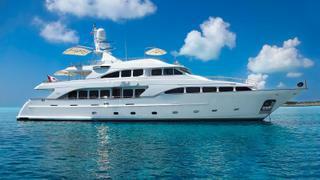 However, most owners who run successful charter yachts say bad experiences are few and far between. A majority have never had to ask guests to leave, although some have come close and would not hesitate to do so in the case of seriously egregious or illegal behaviour. “My crew has strict instructions: if any charter guest harasses anyone in the crew or does something illegal they are off. 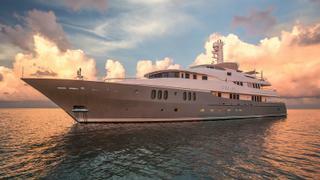 Period,” says the owner of Dream, a refitted 60 metre Abeking & Rasmussen with a Zen-like Bannenberg & Rowell interior. He reports trouble-free experiences with groups varying from families with small children (prone to touching everything) to adults of various nationalities. “We selectively charter for five to seven weeks or so. We turn down many charter requests that we believe could wear down the crew or the boat. It is not a business for us,” he says. “We are lucky to have a great management company [Dynamic Yacht Management] and very experienced crew, so we leave little to chance in our charter programme,” he adds. When things do go awry, there are some clauses in contracts that allow a charter to be terminated under precise conditions – such as documented illegal activity, including drug use or crew or boat abuse. However as Craig Plassmeyer, the owner of 35 metre Benetti yacht Siete, says, for anything less than this the solution usually is to “grin and bear it”, if only to avoid paying huge penalties. He remembers a particularly tough charter with a family whose members could not stand each other. “They were not used to spending so much time together,” he says. The family yelled at each other and at the crew, who endured it but ended the week with badly frayed nerves. He advises owners not to enter a multi-week contract but instead to do multiple single week contracts. “This way, if it does not go well the first week, you don’t have to sign for the next,” he says. He has two boats, the other being a 28 metre Horizon he used to keep in California but which he has recently moved to Florida, closer to his Benetti Classic and his new home. Although involved in the running of the charter programme, he mostly leaves it to his charter manager, Vicky Holmes of Fraser – who brings him more than 90 per cent of the clients – and his award-winning chef, who holds an MBA and “keeps an eye on things”. Plassmeyer has been gratified with experiences as diverse as his Horizon being selected as a location for an episode of the crime television show NCIS and his Benetti as the honeymoon getaway for a huge star hoping to avoid paparazzi. Robba has been rewarded with 60 per cent repeat business, thanks in part to some innovative touches such as an all-inclusive programme and a warm and hospitable crew. But, he warns, “boats are very personal so it is important not to set your sights too high”. About 12 weeks of charter will cover Dunia Baru’s operating expenses. The prospect of minimising the cost of yacht ownership also attracted Chris Heatley to charter, and he has always made his boats available to paying guests. “[How much can be covered] varies year to year and depends on the kind of maintenance the boat happens to need. Our last charter boat we chartered five to six years, and it probably covered 50 to 60 per cent of the expenses,” Heatley says. 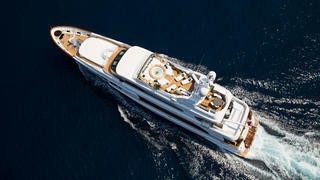 When building his latest, the custom designed 40 metre IAG yacht Serenity, managed by Northrop & Johnson, he thought of his family’s needs but also those of charter guests. “It is very functional for its size. Very few boats like that have six staterooms, an elevator, the big transformer, the little wading pool, big oversized tub; it all gets used.” It’s proved successful, with bookings taken in winter for well into the summer. There are circumstances under which it makes sense to run a charter yacht as a profit-maker – but not many. Federico Angermeyer, owner of 48.5m Passion, is a native of the Galápagos, where there is consistently high demand for charters, but where charterers must hire a local boat. 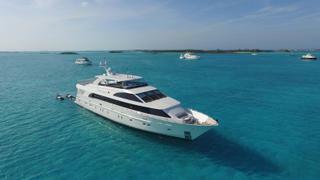 “I totally enjoy chartering and giving clients the time of their life. Yet there still has to be business involved,” he says. “This probably can only be done in a place like Galápagos.” It’s a family business that developed from his parents’ small fishing operation. Mark Sager, former mayor of West Vancouver, British Columbia, fell in love with a 29 metre Burger boat with a storied past and eventually looked at chartering her. “I really enjoy being a host and showcasing our beautiful cruising grounds and it is with that background that I came to charter Oriana,” Sager says. In addition, it is good for the boat and for the crew. “As with aircraft, I am of the view that yachts need to be used to reduce the kinds of problems which are often a result of inactivity. The yacht’s systems I have found are much better off if they are exercised regularly. Funnily, I also believe this is true for the crew,” he says. The measure of success most owners mention is not so much black ink on a balance sheet but the words penned on testimonials. “Reading the letters from guests expressing what a great time they had and what a super crew we have is extremely gratifying for us as owners,” Christine Emmons says – and her words surely speak for all charter owners.